With this functional and weather resistant Magnum Fixed Blade Knife from Boker's, you are perfectly equipped for your next outdoor adventure. The blade is made of 440 stainless steel and is finely polished. The rugged black rubber handle provides a comfortable and secure grip, even in adverse weather conditions. 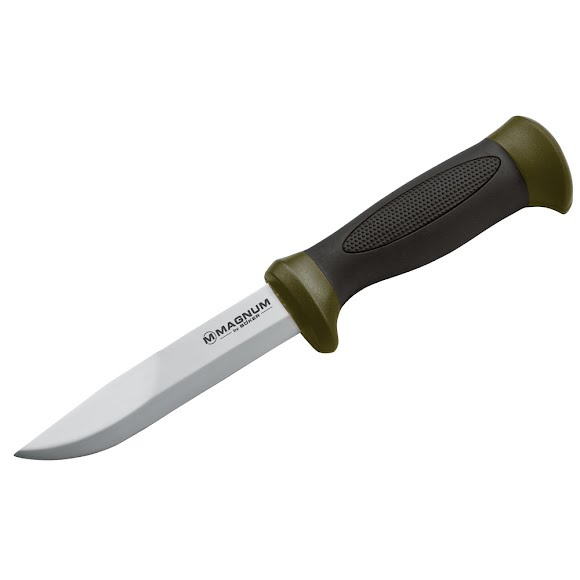 With this functional and weather resistant Magnum Fixed Blade Knife from Boker&apos;s , you are perfectly equipped for your next outdoor adventure. The blade is made of 440 stainless steel and is finely polished. The rugged black rubber handle provides a comfortable and secure grip, even in adverse weather conditions. Each outdoor knife comes complete with a high quality synthetic sheath that matches the handle.